Description LX trim, Taffeta White exterior and Ivory interior. PRICED TO MOVE $1,100 below NADA Retail! FUEL EFFICIENT 38 MPG Hwy/29 MPG City! CD Player. 5 Star Driver Front Crash Rating. CLICK ME! CD Player. Keyless Entry, Remote Trunk Release, Bucket Seats, Front Disc/Rear Drum Brakes, Vehicle Anti-Theft System. Honda LX with Taffeta White exterior and Ivory interior features a 4 Cylinder Engine with 115 HP at 6100 RPM*. Edmunds Editors' Most Wanted Coupe Under $15,000. 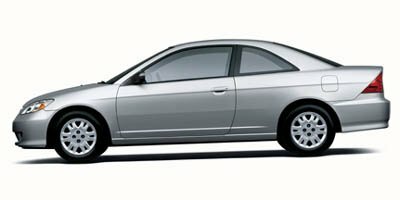 Edmunds.com explains "Thanks to its frugal and clean engines, spunky performance and reputation for excellent reliability and durability, the Honda Civic has been a consistent benchmark for the economy car class ever since its introduction.". 5 Star Driver Front Crash Rating. 5 Star Driver Side Crash Rating. Great Gas Mileage: 38 MPG Hwy. This Civic is priced $1,100 below NADA Retail.